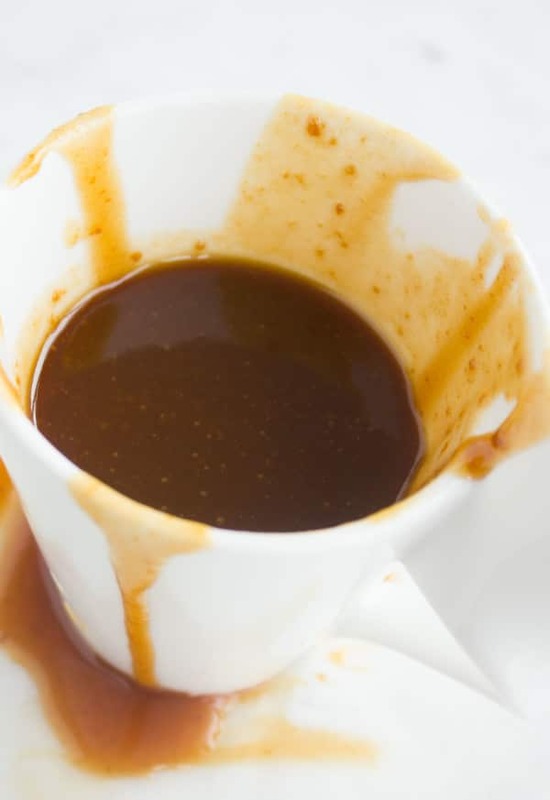 A homemade caramel sauce recipe that’s sweet, silky smooth, flavoured with vanilla and ready in 10 minutes! A versatile recipe that you can flavour many ways and keeps in the fridge for ages. Oh and bonus: made with just 2 tablespoons of butter! this recipe will make you never go to store bought caramel sauce again! 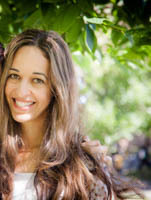 When I think of caramel, I can’t help but think of my mom—the ultimate caramel lover in my opinion! She might be the reason I am hooked on this delicacy of nearly burnt sugar made velvety smooth with a little cream and butter—poured onto endless things to make them a little more decadent..So expect many, many caramel related recipes to come.. But for now, let’s talk about the base recipe, from which everything else caramelicious is derived. Well, it starts with sugar and a little water simmered on medium low heat-no stirring or touching required. As soon as it reaches that beautiful golden colour, a little butter and cream are added to the sugar mixture while off the heat. This is the messiest scariest part of it all, because the mixture will foam up so the best way to do this safely is to use a larger size pot than you think, and to stay away with the pan off the heat. It will cool down in about 5 seconds, at that point you can safely put it back on the heat and gently mix it all together until velvety smooth. et voila ! perfect homemade sauce is achieved! In this recipe I chose my favourite flavour which happens to be vanilla, and I like my caramel to be more on the light side, but I know many who prefer a more burnt sugar darker caramel taste, so by all means adjust it to your taste. You might want to add large salt flakes at the end for a salty caramel sauce, or maybe replace water with some orange juice and boil some orange rind with the sugar for an orange caramel sauce? Yes as you can tell, I have tried and loved many variations on this sauce. Enjoy! In a medium size pot add the sugar, salt and water. Place the pot over medium high heat until it starts to bubble. In the meantime measure your heavy cream in a cup and add the cold butter to it, then set aside while the caramel cooks. Lower the heat to medium low so that the caramel is gently bubbling away. Let it bubble for about 3 minutes watching it turn into a golden colour. At this point you may allow it to bubble some more until it reaches a deep amber colour if you prefer a burnt sugar caramel sauce taste. 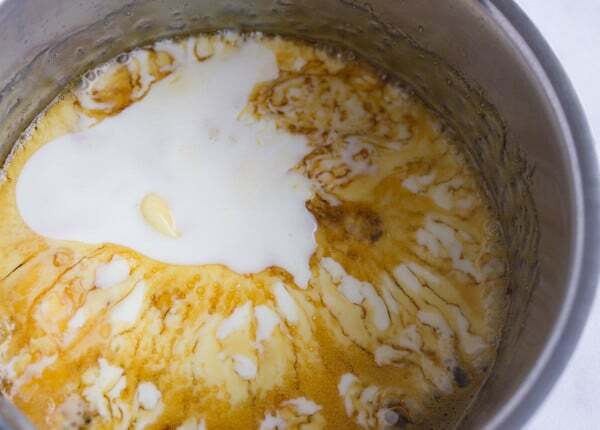 Once your caramel is cooked, take the pot off the heat and pour in the cup of cream and butter while staying away from the pot as it will splatter for a few seconds. Once the splattering has stopped, place your pot back on the medium low heat and mix the sauce together for 30 seconds until it’s smooth and velvety. Store it in the refrigerator for at least 1 month, and reheat it in the microwave for a few seconds if you need to use it warm or to thin it out. For sure! 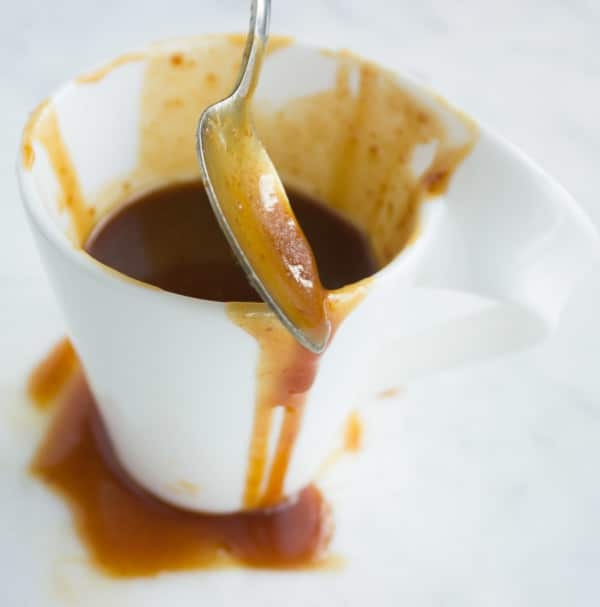 You will need to chill the caramel for it to thicken up and decrease the cream to 1/3 cup or even 1/4 cup (for a thicker caramel sauce that is easier to spread). You can also add 1 teaspoon of salt to the caramel sauce for that salty kick! Tried this caramel sauce 2 days ago and it was a success! Soo happy, it doesnt have that much butter compared to my old recipe and it was just heavenly!